At 12 years old, I went to watch a mentor of mine compete at a local pageant, Miss Heart of the Ozarks, and I was in awe. Watching these young women perform, speak, and wear beutiful dresses had me hooked. I knew that when I was old enough, I wanted to perform on stage too. When I turned 13, I competed in my very first local, Miss Heart of the Ozarks Outstanding Teen. For my active wear I wore a tennis outfit and (real life) brought a tennis racket out with me. Getting to dance onstage was something that I loved to do, so winning was not exactly at the forefront of my mind. However, when I did win this duel pageant, I walked over like bigfoot towards my best friend who just won Miss Dogwood’s Outstanding Teen and our crowns got caught together. Again, real life. Here’s proof……. I was informed the next morning that I would be competing for Miss Arkansas Outstanding Teen, and was so excited to dance on stage again. Keep in mind, I had no idea there was even a state pageant. A few months later I competed, and to my complete shock, won Miss Arkansas Outstanding Teen 2009. Complete and utter shock is the best way to describe my emotions for the following week. I was young, confused, did not know who I was or why I was put into the position I was in, but I knew I was there for a reason. I grew more that year than I could have ever imagined. I could go on a whole rant of all the things I learned, and maybe will in a later post, but for now, I will spare you all. However, whats most important for ya’ll to know is that my sister queen was the most loving, compassionate, intelligent, servant hearted, passionate, and inspiring woman I have ever met. Miss Arkansas 2009 Sarah Slocum Collins showed me the power of one voice. I got to witness first hand how she impacted and loved and entire state, and I decided I wanted to grow up and be like Sarah. But I knew I had to wait. I saw that Miss Arkansas was a job in which I needed to be emotionally, spiritually, and mentally mature for. Fast forward seven years later to my junior year of college. I had gone through some pretty serious moments in my life (more info on that later), and I felt as if I had “found myself”, or at least that I was ready to start competing again. That October I competed for my first local as a Miss, Miss Heart of the Ozarks, and I was terrified. I was beyond scared I was not going to be enough, convinced I was only good as a Teen, that Miss was too lofty for me to compete for, and that I was going to let people down. A lot of flashbacks from competing at that same local as a Teen later, I became Miss Heart of the Ozarks. Now come the next 10 months. My mindset for Miss Arkansas was to give two thousand percent. If I won that was fantastic, and if I lost, I knew it wasn’t because I did not work hard enough. I would work out twice a day and practice my talent for hours, so when it came to performing my talent on stage, all I had to do was just press “play”. Mock interviews were a annual activity and watching the news every morning and every night became habit. Something hilarious I have to admit is that while running on the treadmill, I would watch previous Miss America competitions on youtube so I could “run towards my dreams.” I now wish someone would’ve caught me on camera. The moral of this 10 month season is that I had never worked so hard in my entire life. I realized that the limitations my mind had created were merely guide lines to what I was actually capable of achieving. I learned what it meant to have a goal and make daily steps towards achieving it. 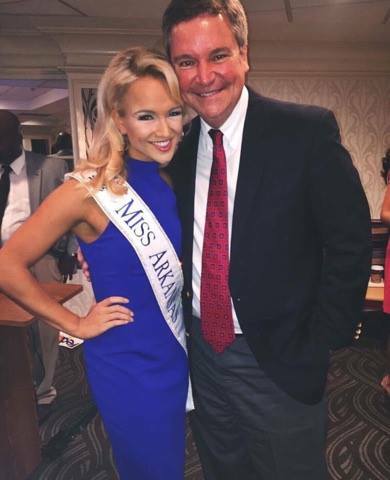 Again, I could go on and on about all the new things I learned about myself and what the Miss America Organization taught me, but I save that for later. 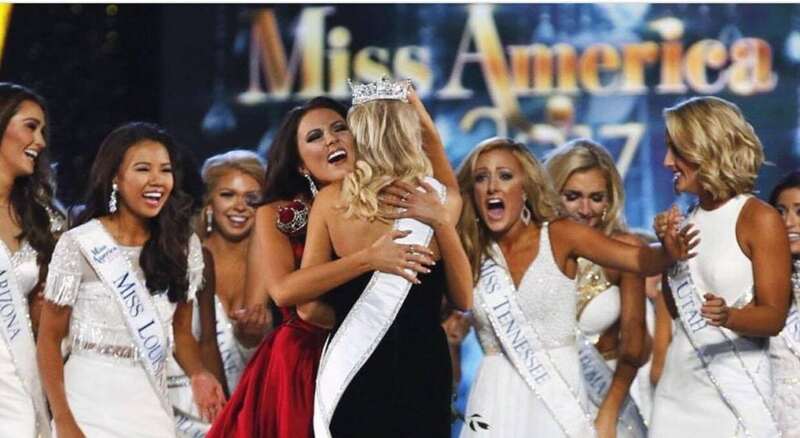 The week of Miss Arkansas came, and again I was scared, but this time with a little gumption. There was a peace I had knowing I did everything possible to prepare myself, and I was beyond excited to compete again. But when the final night came, my feelings shifted. My mom brought me some tilapia for dinner, and I started crying. I told her over and over again how I felt I was going to win, but didn’t feel good enough. I didn’t feel I was good enough to do the job. “Well Savs, you’ve got two hours until the show starts so reapply that lipstick and remember why you did this in the first place.” Nine hours later I was on a plane to Miss America Orientation. I was literally on cloud nine, and could not wait to meet my new sisters. Most of orientation week was filled with selfies and laughter, but I will always remember what our CEO Sam Haskell said to us. He encouraged us to follow our hearts, be ourselves, and be kind. This was the best advice I received in preparation for Miss America. The two weeks of Miss America were the two most memorable weeks of my life. Very little sleep, lots of coffee, and lots of emotions. The very first time all of us stepped onto the stage of Boardwalk Hall, we teared up. 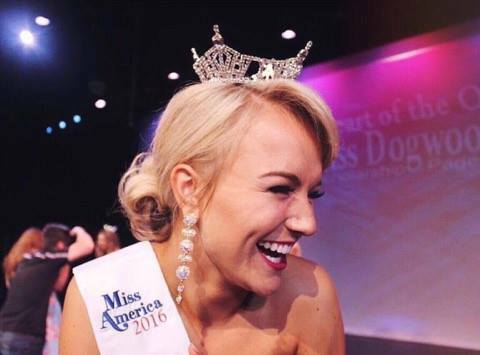 There is something very special and nostalgic in the history of Miss America that serisously pulls at your heart strings. Final night arrived, or TV night as the production team calls it, and at that point we had 51 new best friends. Everyone is running on adrenaline and getting their last hugs in before we leave to opposite ends of the country. And once again, I had that strange feeling. I felt a sense of peace that it was my time. 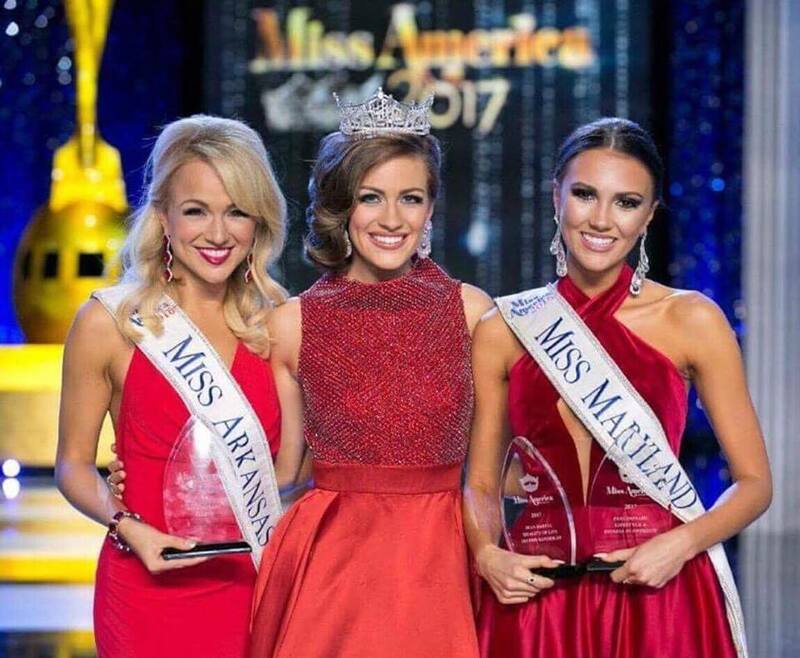 Two hours of chaos and six clothing changes later, Chris Harrison announced, “Arkansas” as your new Miss America. I remember this moment in pictures that pass by in slow motion. I get asked quite often how my life has changed since becoming Miss America, and I can confidently say that every single part of my life has been touched by this organization. From the character qualities I have gained, the friendships I have made, to the way I view the world around me, I am forever changed for the better because of my MAO. Heart words nicely written sweet granddaughter. I love you honey. wish you much success in the future! Thank you so much Susan! Goal setting is a lifestyle thats for sure, I’m thankful you found some of these words helpful! So much love. Savy, as a teen about to comepte for my final year as a teen, this blog has truly inspired me to push even harder. As I was in the same spot at about 8, realizing I wanted to be on that Miss America stage one day. You have made me realize that one day I can. With some hard work, dedication and heart, that I can truly get there. Thank you so much, Savy. You are so inspiring and you are now my role model. God bless you. Gretchen, thank you for telling me your story. Goodness graciousness, I am so proud of you already. I am a firm believer that this organization helps us become the versions of ourselves that we are designed to be. Hope to meet you someday, sister! As a sponsor for Miss Arkansas, I can confidently say young ladies like you are what 1) changed my mind about pageants and 2) make it a joy to sponsor such an amazing organization. Thanks for being a great representative for a state and country, as well as a great role model for young ladies everywhere. Drew, thank you for all that you do! From being so generous to this organization, to your kind words to me.